But for the mean time we all should be using this 9mobile Free Browsing Tweak which is working still as i write this post with Stark VPN, but capped to 60MB daily. This cheat will be of great help for those of us that do not have enough money to subscribe to a Data Bundle at the moment and those who wouldn't want to use their subscribed Data to be used for Streaming Football matches or videos on Youtube, because of the cost of Data bundles. If we all can recall, 9mobile free browsing has been there for a while, since the days of Tweakware and even before Glo AnonyTun Free Browsing, but it got blocked when the new name 9mobile (formally Etisalat) was embraced about a month ago. We should hope for a better future where it was be unlimitedly used for browsing and downloading again, just like the way the Glo Free Browsing Tweak via AnonyTun was recently. Are you still confused of which Sim to use for this Tweak?, in case you have forgotten so soon that I made mention about Etisalat changing their name from Etisalat Nigeria to 9mobile above the lines you read down… i.e. Etisalat is also known as 9mobile. That aside without wasting much of our time, let me quickly introduce us to the topic of the day, which has lead me to write this post. Please try and follow every procedure carefully to enable you configure the settings correctly to be able to make it work. Because it’s still blazing fast as I write this post, so I won’t be happy to get the Not Working Comments in the comment section below, because I will be updating this very post always to make sure of having settings that works seamlessly. 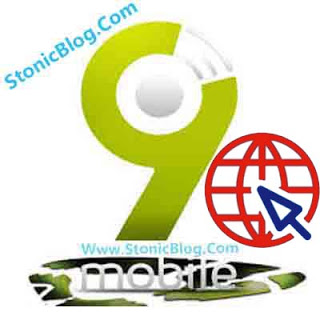 APN: 9mobile (text SETTINGS to 790 to get Automatic APN Settings) or use your old Etisalat APN Settings. 1. Download the Stark VPN apk from the link above and install it. 2. Open Stark VPN that you just installed. 5. Now Hit on the Big Red button switch, once connected it will turn Green when successfully connected. Please don’t hesitate to drop your testimony if the above settings worked for you to make others know that it worked for you... and they can try it out too for themselves. I remain your faithfully Admin. Wow men.. I'm lucky to see this blog. Will rock the cheat like mad.